Give a lovely surprise to your loved ones on Valentines Day with this Ravishing Valentines Day special Chocolate and Teddy Bear and create magical moments to cherish forever. 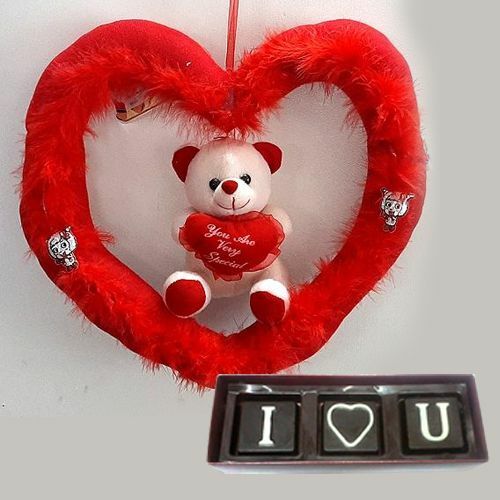 This Valentines Day Special Gift comes along with 3 Pcs "I Love You" Homemade Chocolate and Couple Teddy Bear in Heart Shape Cushion. 18 cm. is the size of the Gift.